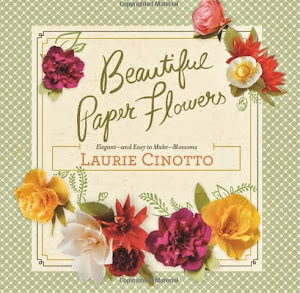 laurie cinotto art + craft: Second Printing! 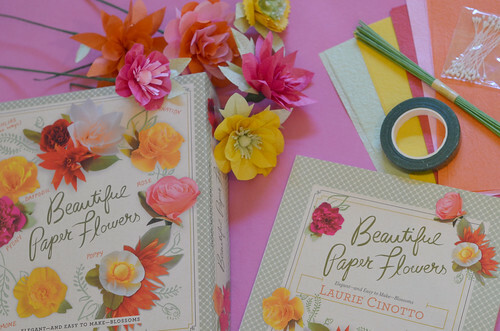 This Spring, my paper flowers book/kit went into its second printing, and it hit the shelves with a fresh new design. I'm so pleased with this new edition - it's cuter than the first! The instructions and information inside the book are the same, as are most of the components of the kit. 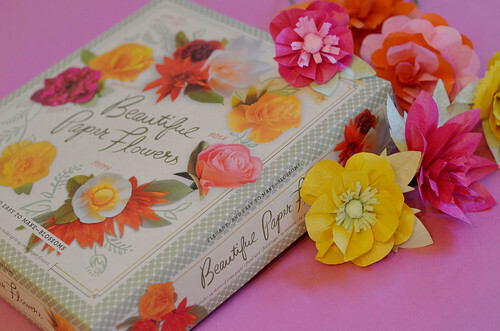 The paper is a little different than what was included in the original packaging, so I thought I would make a few flowers from the new kit and share them with you. I love the new paper colors they selected -- they're fresh and vibrant. 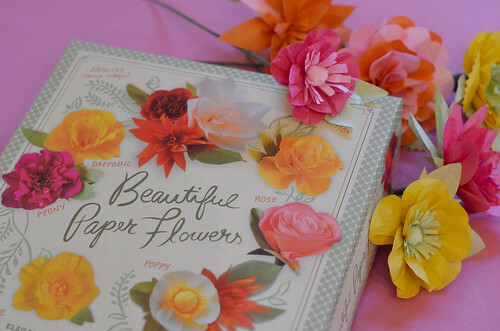 Though different from traditional crepe paper, this textured paper is sturdy and the blooms hold their shape well. You can purchase a copy through your favorite indy book store. It's also available at Barnes and Noble and through Amazon. If you're in Tacoma, you can find it at Compass Rose or at King's Books! I hope you'll pick up a kit and give this craft a try. 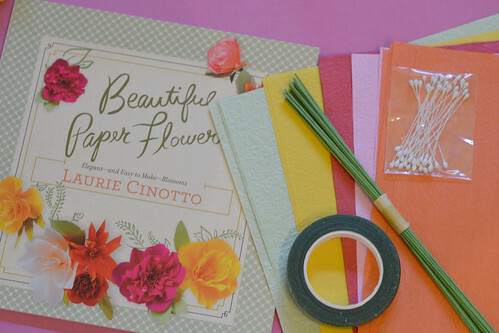 Once you've made a few blooms from the book, I encourage you to pick up some other types of paper, and do a little experimenting. When you vary the paper, you vary the results. 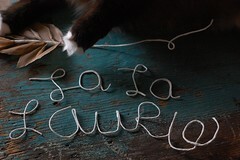 Laurie, I love the book and have used up all my paper and cannot find paper I like as well. Where can I purchase more of that paper? I love it! 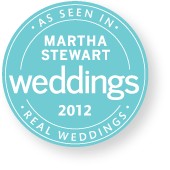 Ms. Cinotto, I just purchased "Beautiful Paper Flowers" from Marshalls. I am very excited to create some flowers. Where do I find the paper for the flowers once I finish? Castle in the Air in Berkley, Ca has a great selection of crepe paper available in their online shop.